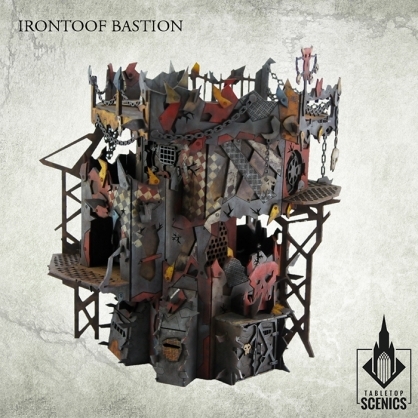 Contents of this frames may be used to make 1 Irontoof Bastion. Dimensions: width 22cm, depth 20cm, height 23 cm. 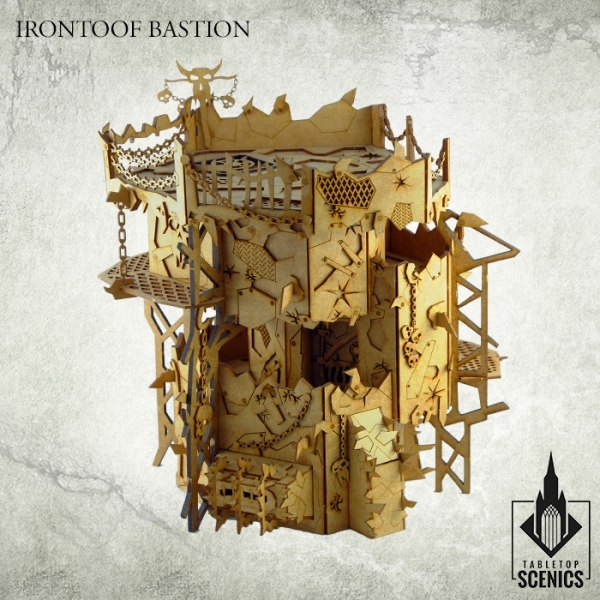 Irontoof Bastion is a towering rusty structure crammed with armoured decks, fire points, ladders and bulkheads. 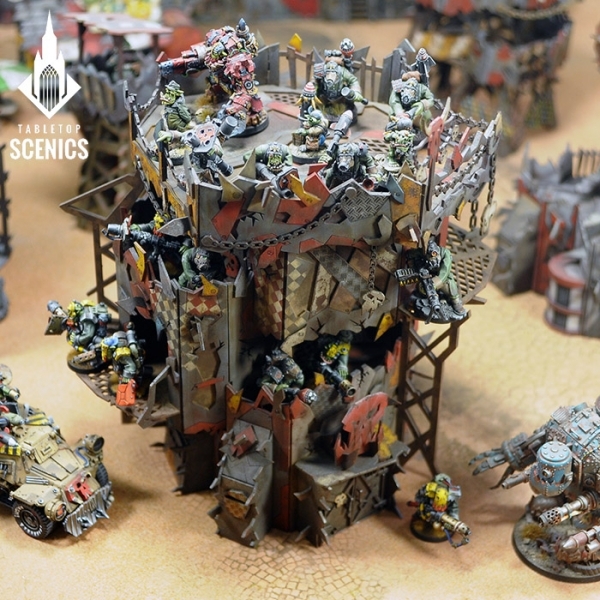 Everything in proper orky fashion – reinforced with additional supports, metal plates and skulls! orc warband (accompanied by smaller greenskinz and slaves) terrorizing nearby surroundings. This set contains six Orc Barrels (three different designs). Designed to fit futuristic 28mm heroic scale terrain and models. Orc Barrels match our Junk City product line. Each barrel is approximately 23mm height and 16mm diameter. 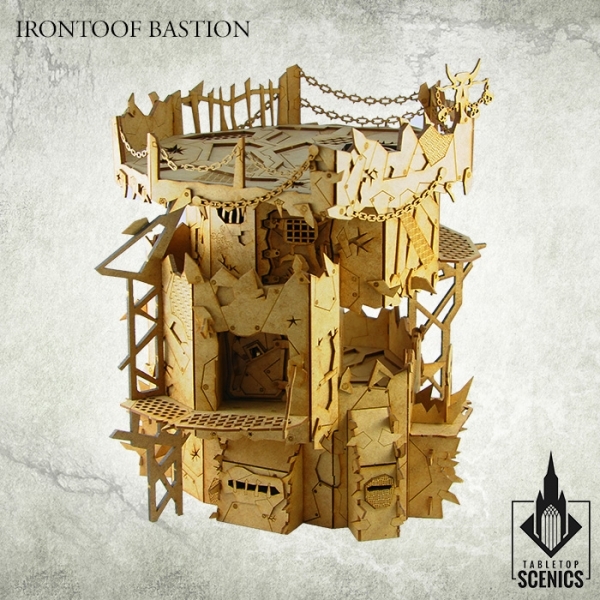 This set contains six resin Orc Junk City Fuel and Ammo Piles scatter terrains. Designed to fit futuristic 28mm heroic scale terrain and models. This set contains six resin Orc Junk City Crates. Designed to fit futuristic 28mm heroic scale terrain, vehicles and models.